Who said Barcelona is just museums! 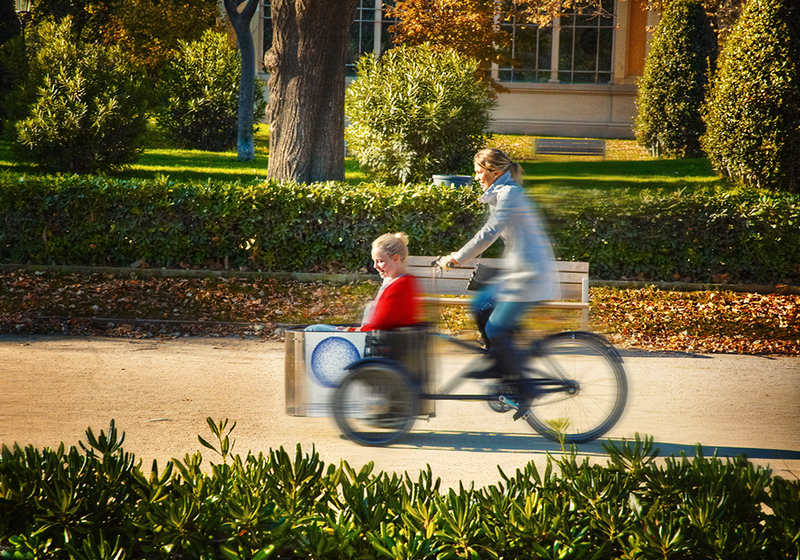 Our city is great to enjoy a good ride or a nice walk along one of its many green promenades. Notice these girls having fun in Ciutadella Parc on board of this curious tricycle with front load. That is a unique vehicle...usually the two wheel are in the rear. I do like the photo a lot...how'd you keep the faces sharp and blur the rest? Great job! hola colega, una foto curiosa. Your great action shot perfectly shows what your commentary says!